This relaxing space is designed to captivate the visitor. 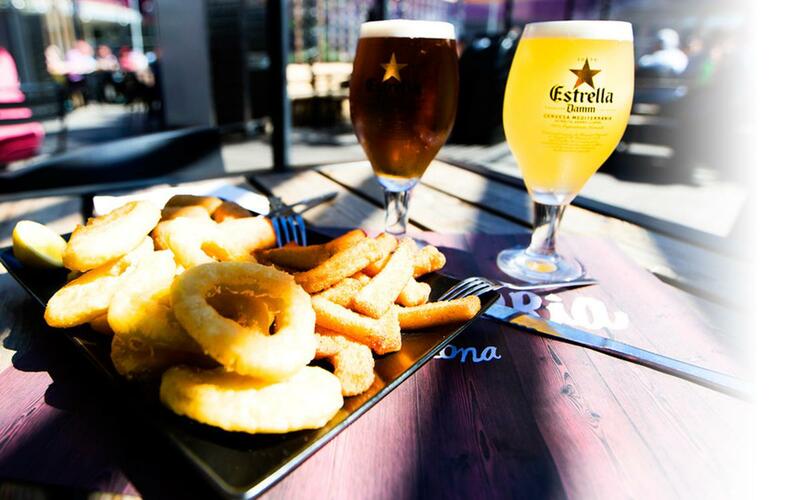 It is a beer hall serving snacks and beer – a spectacular 190 square metre area with a 480 square metre terrace. Its innovative commitment to modernising the idea of the traditional beer hall, in line with local and international tastes, takes full advantage of our country’s gastronomic culture.